New Delhi : The debate of ruling government versus opposition has reached its boiling point wherein there are no holds barred in war of words and deeds between BJP and Congress. Elections forced Congress to vacate the centre and paved way for a promise-laden Modi-led BJP’s NDA Union government. However, while Congress wore the crown of thorns…oops scams, BJP has managed to adorn its crowning glory with jumlas, degree rows and miscalculated promises. Result – Congress President Sonia Gandhi, while addressing a Congress Working Committee (CWC) meeting this Tuesday, called Prime Minister Narendra Modi as a leader who made “Hawabaazi” (read empty hollow promises). She highlighted that Modi government has failed abysmally and stated evidence in support of her words – U-turn on land acquisition, downward slide of Indian economy, failure of Make In India’s job creation effort, total indecisiveness and random fluctuations on Pakistan policy, rewriting history by defaming Nehru and his clan, repression of media and being an RSS-controlled government (Rashtriya Swayam Sevak Sangh). Immediately, Minister of HRD Smriti Irani mounted a counter attack on Congress President and Vice-President. Speaking on the Mother-Son duo, Irani stated that Sonia Gandhi was attacking Modi just because Congress wanted to cover up its own failures. Rahul Gandhi is the real Hawabaaz, said Irani, referring to Amethi land row, and added that Rahul was pretending to become the messiah of farmers. Irani accused Congress of emptying the coffers of government via innumerable larger-than-life scams. To this, Veteran Congress Leader Ghulam Nabi Azad reacted saying, those without degrees could become Ministers and MPs, thanks to Congress contribution – which brought independence and democracy. Other spokespersons from Congress maintained that Irani should first come clean on her fake degree scam and then speak on Sonia matters. A blog written by senior Congress Leader Manishankar Aiyar highlighted the U-turn on Land ordinance. Referring to the original Land Bill passed by Congress-led UPA in 2013, Aiyar recalled how Sumitra Mahajan and Arun Jaitely, the present Lok Sabha Speaker and present Finance Minister, respectively, themselves sat through the entire bill-making process and validated it. Then, when BJP came into power, how these very own politicians joined the chorus of criticizing the 2013 Bill as anti-farmer and made amendments and imposed it via ordinance route. 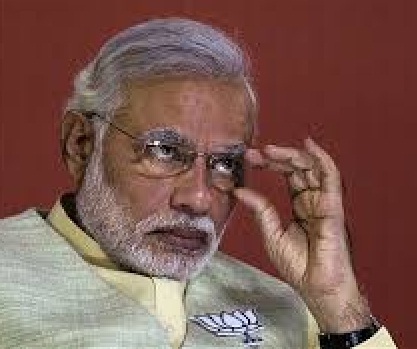 Aiyar smelled a Gujarat Model redo in centre on the recent lapse of Land ordinance. Aiyar claimed that Land ordinance was in total support of industrialists and resulted in farmers getting sidelined and financially being rooted out in the bargain. NDA government’s U-turn and decision of not going forward with the ordinance and letting it lapse, conveys the dilemma of ruling union government. Connecting the dots, one reaches to the Patel reservation demand, which initiated from Modi-land Gujarat and is threatening to spread nationally, thanks to Hardik Patel. Can the land ordinance (imposed forcefully after NDA takeover in centre) be held responsible for threatening uncertainties in agriculture professionals, resulting in fear of joblessness and forcing them to demand reservation even via protests and agitations, is a point to ponder. Because, the same Land Bill which was criticized by one and all from ruling government stands accepted today by the very same government. All this is fueling the raging debate of Modi government having fallen flat on its face on promises, and lacking in deliverance.